Swimming Teaching: What Separates Olympic Swimmers From Everyone Else? What Separates Olympic Swimmers From Everyone Else? Olympic athletes aren’t only good at what they do; they’re quite literally at the top of their game. 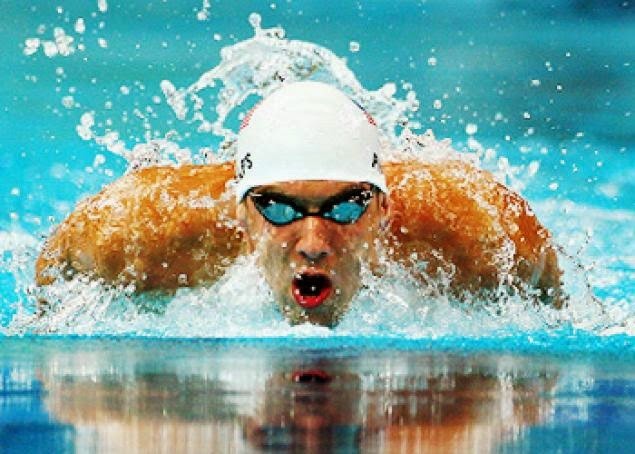 Most Olympic swimmers have been partaking in the sport since a young age and have crossed both physical and mental boundaries that most casual swimmers could only dream of. Michael Phelps’ double-jointedness and huge wingspan give him a unique physical advantage. According to Scientific American, the eight times Olympic gold medalist has size 14 feet that bend 15 degrees further than most other swimmers. His flexibility also extends to his knees and elbows and his wingspan is far larger than average. Simply put, Michael Phelps is a born swimmer with naturally formed flippers. However, natural physical gifts don’t always lead to success and there have been plenty of athletes with far less flexibility and much smaller frames that compete at the Olympic level, such as Japan’s Kosuke Kitajima. Olympic swimmers don’t just train casually, they will work alongside coaches to devise a training program that’s specific to their strengths, weaknesses, body type and schedule. Strict nutrition plans must also be followed to ensure their bodies recover from the intense training and can deliver optimal performance on the day. In addition to swimming, most athletes will also partake in other sporting activities to maximize their potential. Typical activities include: yoga or martial arts for flexibility; weight lifting or calisthenics to target specific muscle groups; and cycling and running for endurance.